On the outbreak of war in 1914, the Empsons were an ordinary family, living in Castleford, West Yorkshire. Joshua Empson worked at Allerton Bywater Colliery and in his spare time enjoyed watercolour painting. He and his wife Mabel had a daughter, Lucy, who was at school. 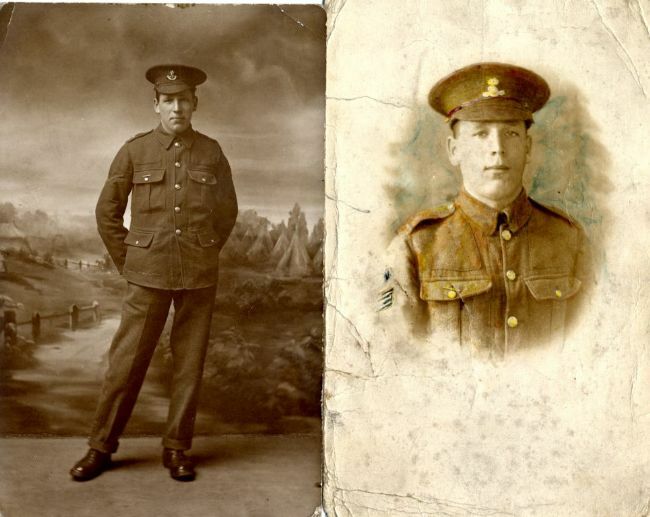 On 7 September 1914, Joshua applied to join the army. Soon after, he left Castleford to serve in France, Salonika and Palestine as a Sergeant in the 6th Battalion, Royal Dublin Fusiliers. In the final days before the Armistice, Joshua died in a military hospital at Abbeville, France as a result of injuries at the Battle of Selle. Back in Castleford, Mabel and Lucy found it hard to make ends meet. Mabel received a war pension of 22s 11d per week. At the time, the average wage for a man was 26 shillings a week. Mabel took a part-time job in the school meals service to supplement the pension. Mabel had to find the money to pay for the inscription on Joshua’s gravestone at Abbeville. 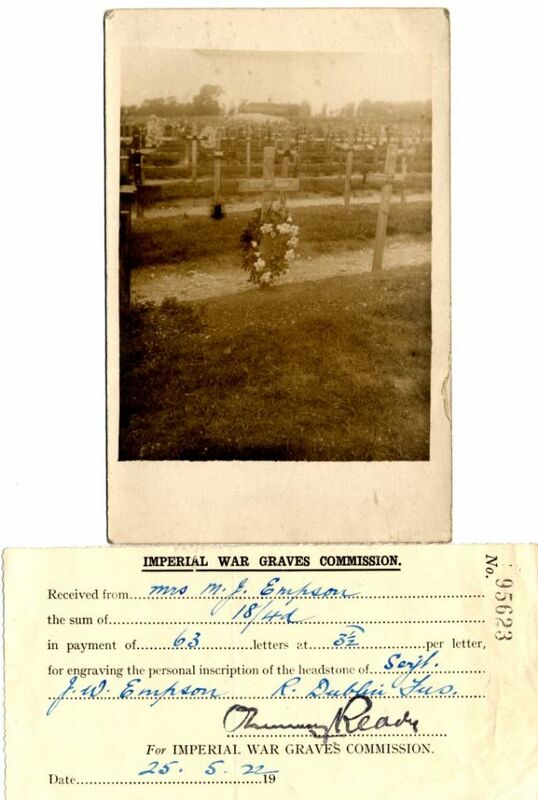 It cost 18s 4d, nearly a week’s worth of her army pension, and she was never able to visit his grave in person. When Lucy married George Sharp, whose father had also died in the war, Mabel went to live with the couple. She never remarried and died in 1978. Why Should we Learn about Families like the Empsons? The Empson family’s story tells us much about the impact of the First World War on society in general. The following pages explore the pressures on women like Mabel, who had to support their families after the loss of their husband, as well as the effect on young women, like Lucy, who grew up in the war.